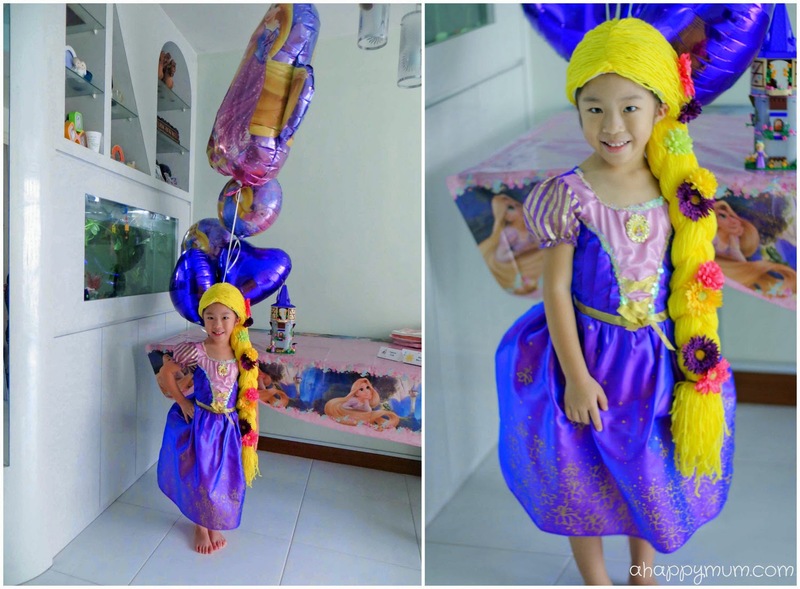 So, a Tangled theme party is never complete without.... Rapunzel's hair, of course! I wanted it to be a surprise for Angel who kept asking me what I was going to do with all those yarn but it turned out that I needed her help in the making. 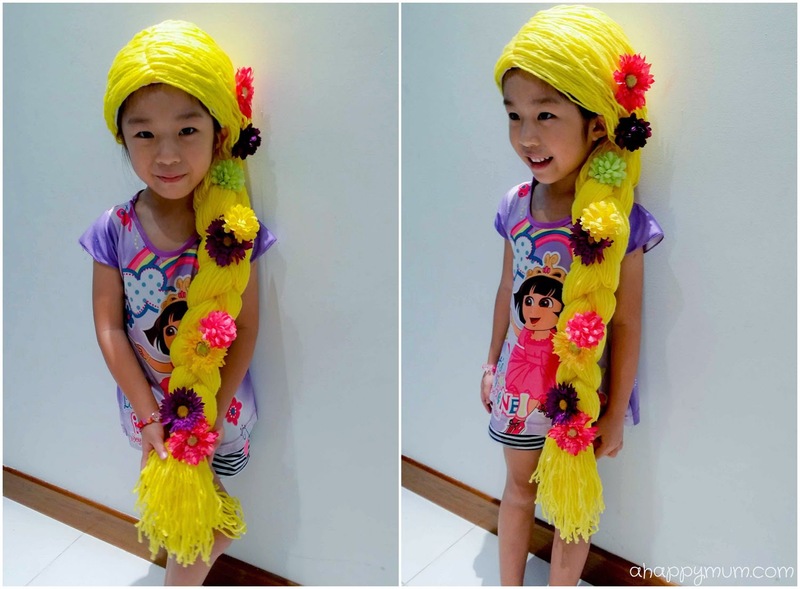 Nonetheless, she was super thrilled to see the end results and in today's Creativity 521, I am going to show you how we did the DIY Rapunzel's wig, inspired by This Mama makes stuff. Firstly, fit the tights on your child's head, making sure it does not cover the ears but wraps the head snugly. Mark and cut off the extra. Turn the tights wrong side out and sew it along the top edge to close it. Turn it right side out and you have created a wig cap! Next comes the most time consuming part - cutting the hair! You would need to cut out strands of yarn that is at least double the height of your child. For instance, Angel is almost 105cm tall and so I measured the yarn to be about 210cm in length. After braiding, the wig reached her knees which I thought would be less restrictive. If you want the hair to touch the floor, you would need it to be well over twice the height of your child. Depending on the height and size of the wig cap, you would use up at least two to three balls of yarn. Instead of measuring every strand, it is easier to just use one as a guide. It is okay if the strands end up uneven eventually. As you slowly build up the yarn, try best to ensure that they do not get tangled. After that, cut out a piece of yellow felt measuring 3cm x 18cm. Folding the cut yarn into half, find the middle and start sewing them onto the middle of the felt piece. Maintain a straight line and do it bunch by bunch so that it is easier to work with the yarn. Ensure that the yarn is spread out consistently and take up almost the whole length of the felt. Trim away any extra felt if needed. Once all the yarn has been secured onto the felt, match the hairline onto the middle of the wig cap and pin in place on both sides of the felt. Sew the felt piece in place, removing the pins as you go along. I do believe that it can be hand stitched but a sewing machine definitely saves a lot of time and effort in this case. Let the hair fall nicely onto both sides of the cap and start braiding. It's much easier if your child is wearing the wig as you braid it to ensure that the hair is as neat as possible. Tie it up, trim the ends to even them and use hot glue to make the hair stay in place where needed so that the wig cap is concealed. Lastly, use the hot glue to stick on the flowers as you desire. We played around with the hair till we decided it looked best on Angel when put to one side, instead of the back, so that was the final look we wanted to create. Voila! 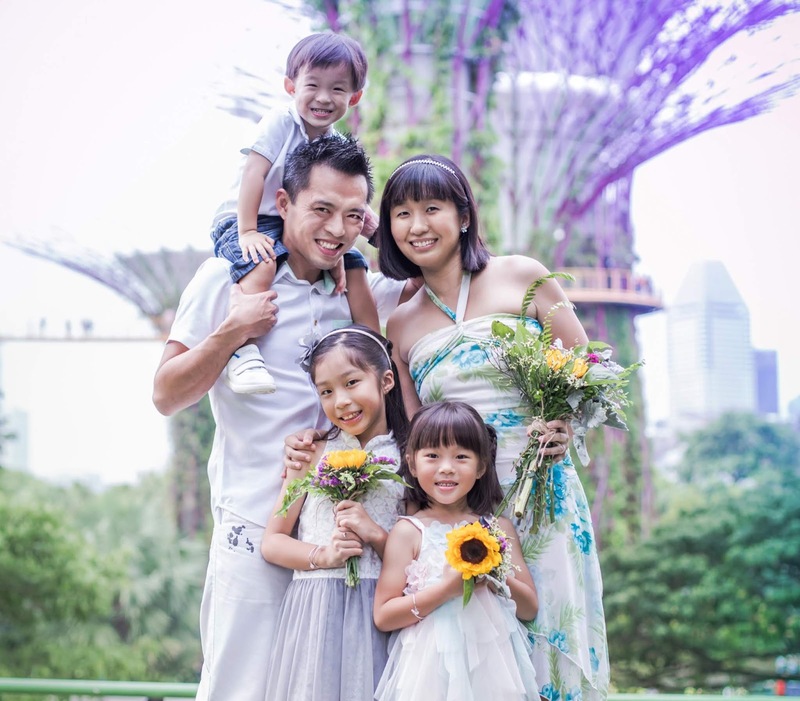 Wear it with a Rapunzel dress and you have just turned your precious into her favourite princess on her special day! Here is how Angel looked at her party and surprisingly, she kept the wig on for nearly six hours! 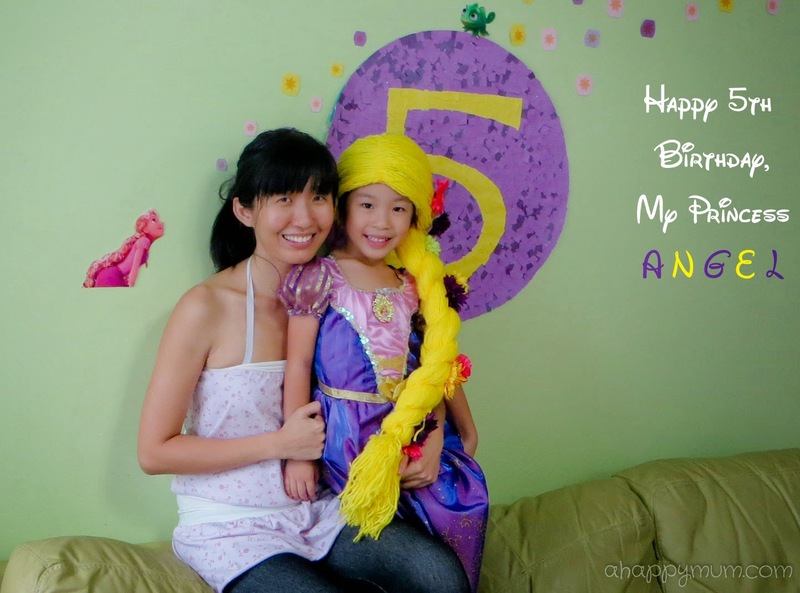 Happy turning 5, my darling! Long or short, black or yellow hair, please know that you are still the most beautiful girl in mama's eyes! 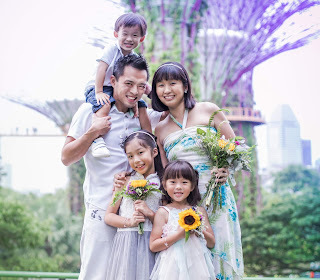 I will be sharing more on the Tangled party next week, so stay tuned! For more party ideas, crafts or DIY tutorials, visit my gallery here. Hello Summer! That is SO CLEVER!!!! Well-done you!!!!! Great wig and thanks for sharing!